We’ve all experienced the inconvenience and hassle of having a blocked sink, but what about when it occurs in your shower? That can be even more challenging as you can face having a flooded and unusable bathroom, often for days at a time. 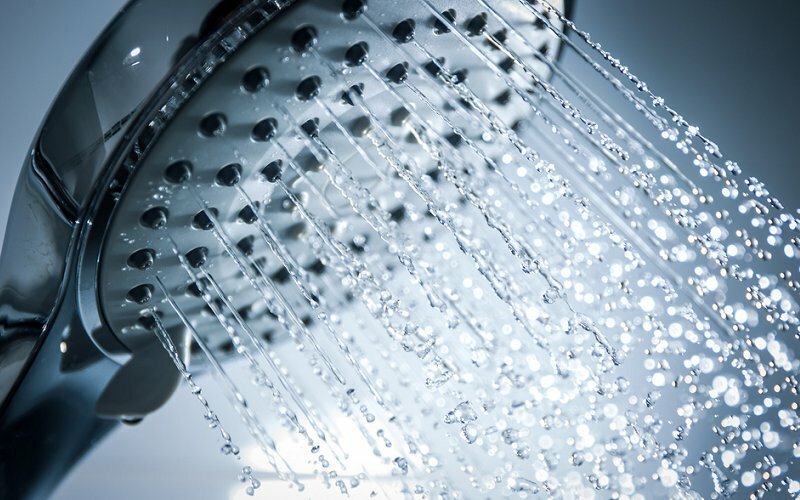 Even a slow draining shower can cause issues such as soap scum build up in your shower, leaks and foul smells if it is left for long enough without being treated. 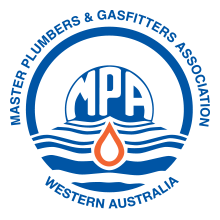 Getting professional help from a qualified, experienced plumber is crucial to ensuring that the issue is fixed quickly, and to prevent it from developing into a larger, more expensive problem. Some particularly bad blockages can result in long term damage being done to pipework, which can be costly and time consuming to remedy. is your shower drain blocked? 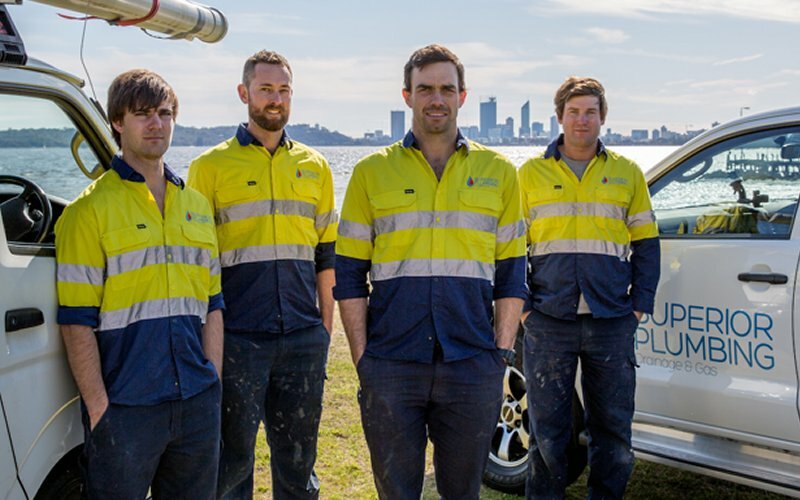 Superior Plumbing is Perth’s number one expert for blocked shower drains, thanks to our years of experience and highly qualified team of professionals. We’ve seen it all, from small blockages that can be quickly resolved on the spot, to larger, more complex issues such as misaligned or older pipes and tree roots blocking the drainage system. Call us as soon as you notice your shower is draining slowly or you have a blockage – it’s always easier to fix a small blockage then have to undertake more extensive repairs if the problem has been left for too long. Check the shower drain grill and the immediate pipework you can see for obvious obstructions. Often hair and other debris can become caught and tangled underneath the drain grill, causing water to drain more slowly. If you have an old or damaged shower grill, you can buy a new one (just make sure you check the dimensions before heading to the store). Pour water into the pipe and watch it drain away. If you notice over time that is it becoming worse, call us in. Most drain cleaners you can buy on the market contain toxic materials that can be dangerous for pets, children and adults, and can even cause damage to pipework. If you do use one of them in your shower drain, make sure you follow all the instructions (including the safety procedures such as using it in a well ventilated area). Also ensure that you make sure all of the drain cleaner has been washed away before having a shower, as having even diluted chemicals such as caustic soda coming up in your shower while in use can be dangerous. If you’ve tried various method of unblocking your drain, or just want a professional to take care of it as quickly as possible, give us a call. We’re the blocked shower drain experts and on call when you need us most, right throughout the year. One of the biggest headaches for property owners is tree roots getting into the drainage system. Once they find their way in, it can be difficult to eradicate them without regular professional clearance. Not all trees have roots that are invasive, however some of the most popular varieties such as silky oaks, jacarandas, poplars and golden wattles, as well as other smaller garden plants such as bamboo, grape vines and wisteria, can quickly find their way into tiny gaps or fissures in your pipework. You may not even realise your drainage system has been compromised until your pipes start to clog up and run slower. If left long enough, tree roots can completely fill a pipe, causing it to become damaged from the inside out and even break altogether. If your property is located close to trees or surrounded by garden, we recommend having your pipes cleared out on at least a six monthly basis. We’ll show up on time, every time. 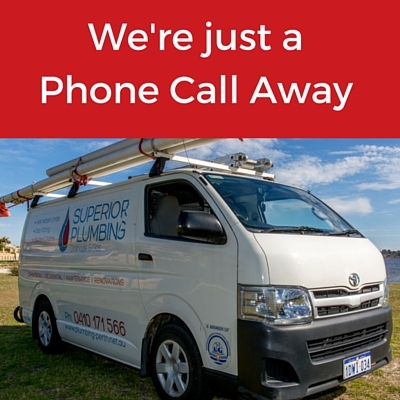 We’ll even give you a call when we’re on the way so you know when to expect us. We’ll be in clean, easy to recognise uniforms. Our trucks are fully stocked with everything we’ll need to complete your job. We’ll bring mobile payment facilities with us. We’ll be friendly and polite, and explain all steps in our process with you before starting the job. We’ll treat your property as our own, and always clean up any messes that we may have made while completing your work. So contact Superior Plumbing today and talk to us about your blocked shower drain – we’re waiting for your call.